Our curriculum was designed to prepare the children enrolled at Hillcrest Academy for what lies ahead in their journey through early education and beyond is always evolving. We encourage all of our early learners to be creative, and our excellent faculty provide them the opportunity to allow self- expression through a variety of disciplines including hands on science, music and dance, dramatic play and much more. Beginning with our youngest at 6 weeks old, we examine development and offer the opportunity for daily growth and exploration with new friends. Everyday verbal communication and written reports; our staff in our infant room keeps in daily contact with parents and caregivers, and are here to answer your questions at any time. Our infant room is equipped with story books for group time, soft building materials for stacking and knocking down and other adventures. The routine offers the opportunity to interact with our long term nurturing teachers all day long. All equipment and toys are sanitized on a daily basis to keep your little one healthy and happy while at Hillcrest Academy. Your infant is made to feel like one of our own here as each child enrolled at Hillcrest receives daily one-on-one time with his or her caregiver. 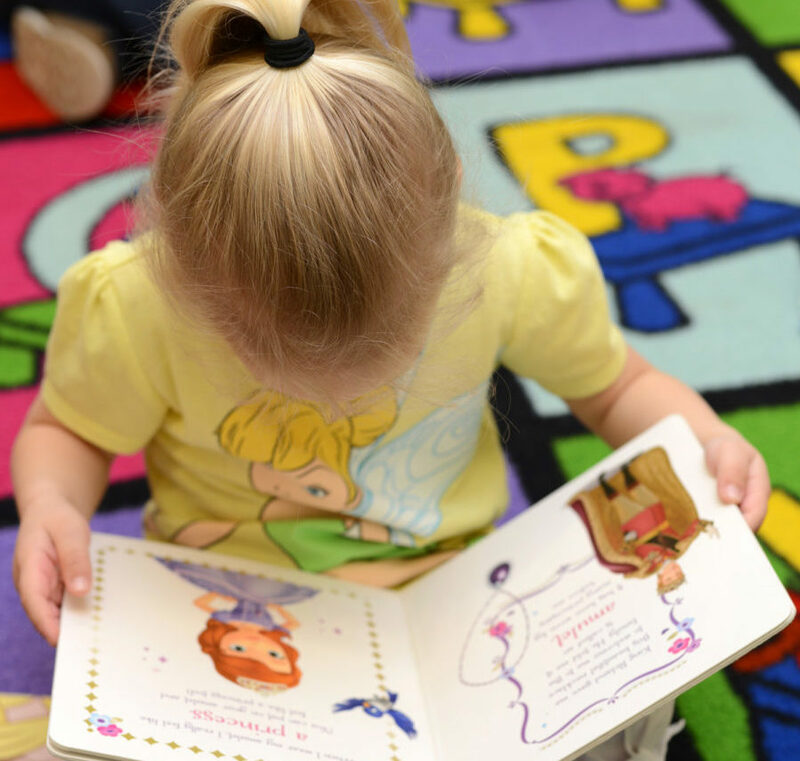 Language is highly encouraged through the use of flashcards, repetition, and nursery songs. 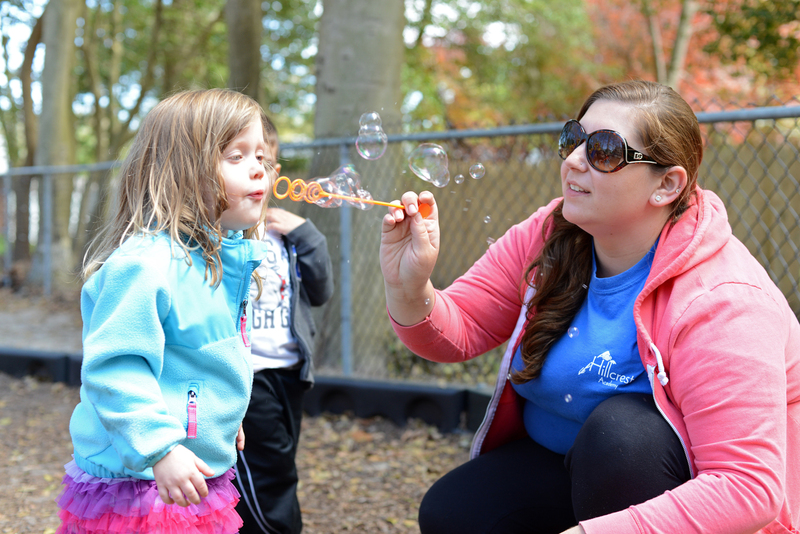 Our specialized teachers are here to make sure your infants reach or exceed the milestones you are anticipating. In this age group, language is exploding and the children are starting to find themselves. Parents are given daily written reports about their child’s day and development. The faculty in our infant/toddler room is full of support and love your child needs at this important time in their development. Many of our infant/toddlers and their parents express an interest in potty training, and we happily oblige. Circle time in the infant/toddlers room is where the magic happens. 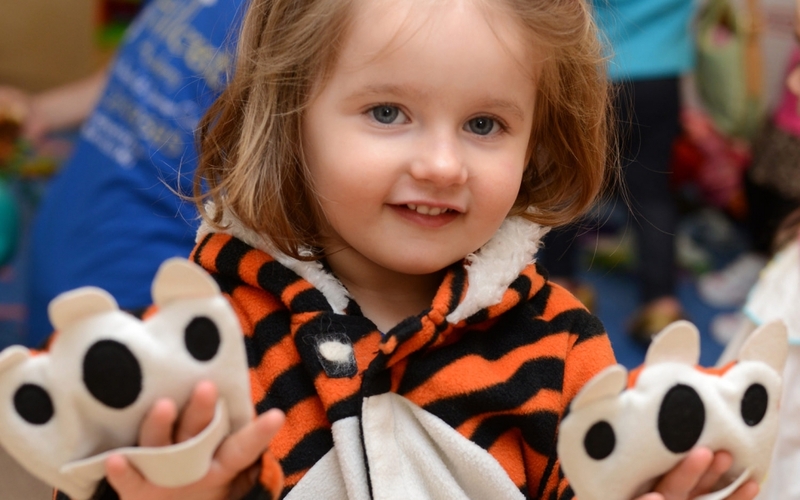 During circle time our early learners enjoy storytelling, discover and explore musical instruments, jump, sing and dance and all while learning the building blocks of early childhood education. Our high-energy teachers begin to introduce new concepts including colors and shapes to spark your child’s interest in continued learning. We begin introducing simple sign language and Spanish, as well. Here our faculty starts to prepare our friends for preschool. More time is concentrated on potty training in an effort to help your child transition to our preschool classroom diaper free. 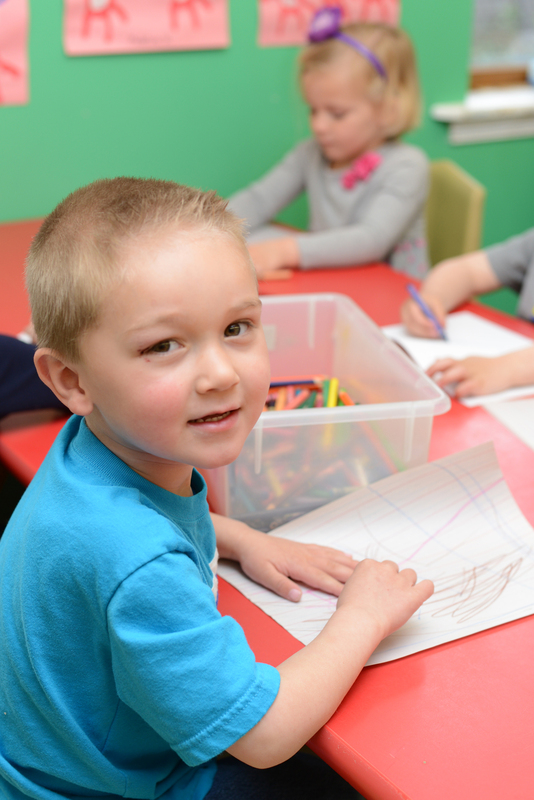 One central focus in our toddler room is an emphasis on self-help skills. 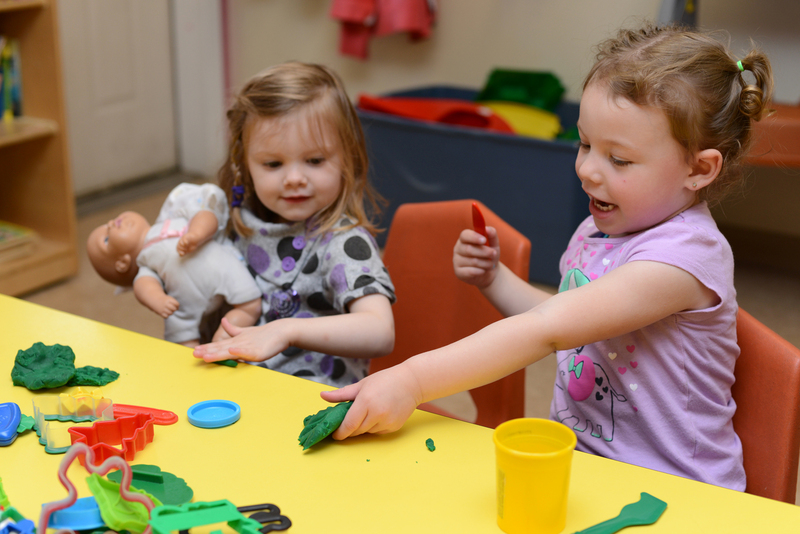 By focusing on small tasks such as washing our own hands and putting on our own coats, the faculty in the toddler room helps your child continue down the road of self-discovery and independence. Circle time in our toddler room consists of fun, motivating time of the day where lessons are introduced and reviewed to add structure and repetition in order to help prepare your child to transition to our preschoolers. This classroom is sectioned off into different areas to allow our early learners to explore on their own under the watchful eye of our attentive staff. 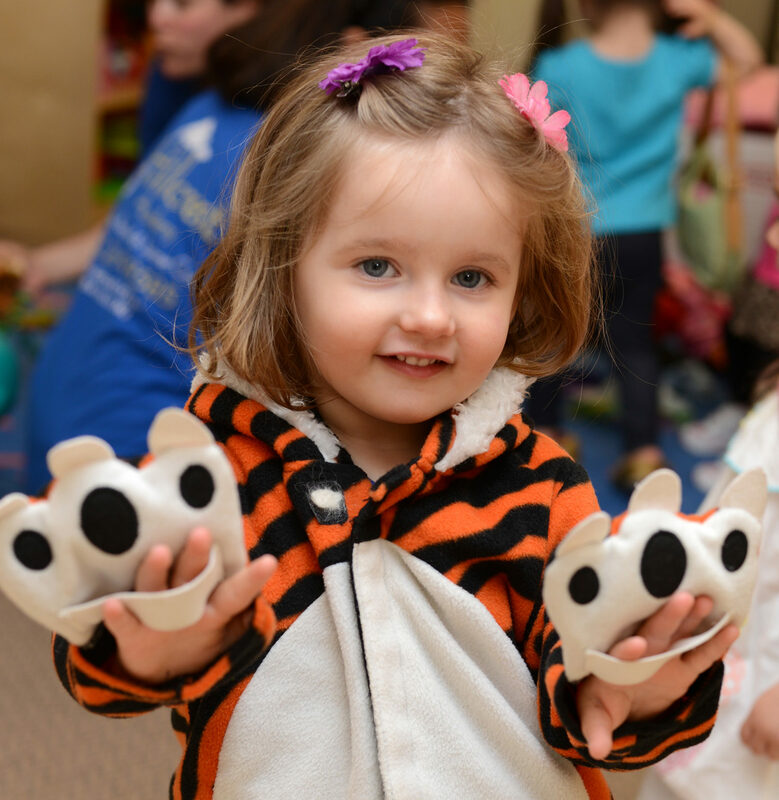 Children in our toddler class can enjoy playing dress-up and make believe, or enjoy building with blocks or reading books in other areas of the room. Self-expression is encouraged by our faculty in a safe and nurturing environment where your child can truly be who they want to be. Our highly trained staff starts to kick learning into high gear to prepare your child for Pre-K and beyond. Our faculty helps your little learner reach for the stars socially and academically in our Preschool classroom by introducing more difficult concepts including the days of the week, numbers, letters, and communicating in Spanish and American Sign Language. Our Preschool classroom is an environment rich with different mediums that allow all of the Preschool students here at Hillcrest Academy to grow, learn and thrive through means ranging from creative play to music and movement. Our long term Preschool teachers help all of our little learners to resolve conflict amongst their peers on their own through the use of words and problem solving skills that your child will take with them throughout their educational journey. The self-help skills introduced in our Toddler classroom are reinforced and enhanced through the introduction of more difficult skills. Our Pre-K program was developed and designed to help ready children who will be entering the New Jersey Elementary School system through various educational techniques both traditional and contemporary. Hillcrest Academy provides a stable educational foundation for every child enrolled in our Pre-K program. This foundation has been recognized and praised by Kindergarten programs all over the county. In our Pre-K class, our “big kids” dive into a variety of academic skills including letter recognition, letter sounds and writing amongst other academic and social skills. At Hillcrest Academy we are proud to provide every child who enters our facility with a welcoming environment which promotes healthy learning and growth not only amongst their peers, but with our faculty and adult staff as well!